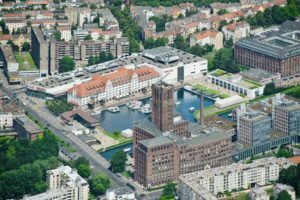 The Tempelhofer Hafen GmbH & amp; Co. KG has sold the Berlin shopping center “Tempelhofer Hafen” to a large German insurance company. The Tempelhofer Hafen Center includes a historic warehouse, a shopping center with a medical center, a harbor, jetties and entertainment and leisure facilities. The listed harbor complex was built between 1901-1908. As of 2007, the new shopping center “Tempelhofer Hafen” was built at the southern end of Tempelhofer Damm with an investment volume of more than 100 million euros. Tenants of the almost completely rented center are u.a. EDEKA, MediaMarkt, C & A, Jopp & Jopp and H & M. The center covers a leasable area of ​​approximately 36,600 square meters. VERIANOS AG has been preparing and managing the transaction for the seller since 2011 until its conclusion.